Donald Trump fulfils his promise to shut down the Federal Government unless he gets $5.7 billion for his Wall with Mexico. About 25% of the government closed after Congressional officials and the White House failed to agree on a spending bill before a Friday midnight deadline. The shutdown is the third this year, the first such occurrence since 1977. Hundreds of thousands of government employees will not be paid from Saturday. Departments — including Homeland Security, responsible for US borders — and Government services will be shut or curtailed. Throughout the day, there were emergency talks and maneuvers to blame opponents for any closure, until the Senate and House of Representatives adjourned at 8:30 pm. Discussions are expected to resume on Saturday. 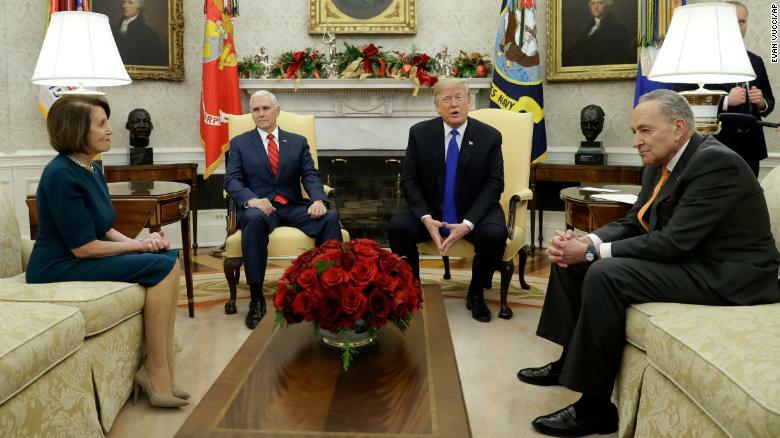 I’ll tell you what: I am proud to shut down the government for border security. I will take the mantle. I will be the one to shut it down — I’m not going to blame you for it. Trump wavered early this week, with White House Press Secretary Sarah Sanders saying “other ways” would be found to fund the Wall. But, after criticism from conservative radio and TV hosts, Trump said he would not accept any continuing resolution without the $5.7 billion. Since the start of his Administration, Trump has faced the challenge of fulfilling his campaign pledge that Mexico would pay the estimated $25 billion needed for the Wall. Within days of taking office, he assured President Enrique Peña Nieto that he did not expect the Mexican Government to provide the money but asked Peña Nieto not to publicize this. In January and February, the Government briefly shut over Trump’s Wall demand and the Administration’s failurevto provide a comprehensive budget. After this, Congress moved to protect the military and some essential services with funding through 2020. Trump’s depiction of himself in control was far from smooth on Friday. One tweet tried to show a President signing legislation — but the image was of Trump with pen poised over a blank sheet of paper. NextThe Last Adult in Trump’s Playground is Gone — What Now for US Foreign Policy?